Each time Zimmermann shows a new collection during NYFW, the label seems to nail several trends in one while showing us creative outfit combos we never would have thought of ourselves. 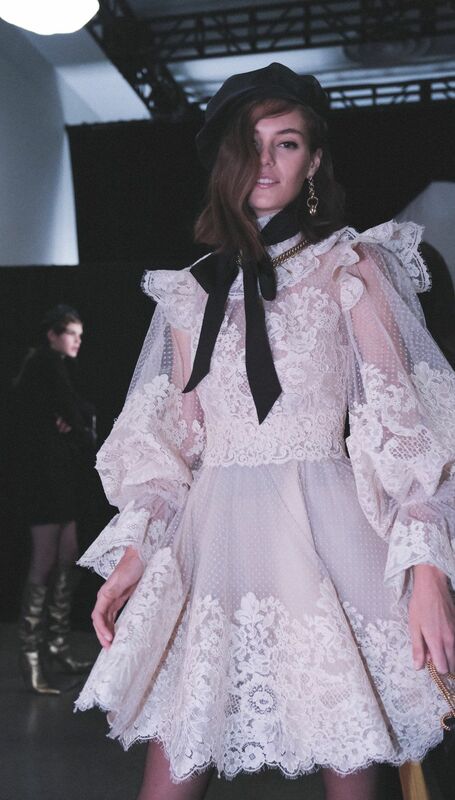 This season, sisters Nicky and Simone put together a show that had elements of Zimmermann's signature romantic aesthetic and some pieces that felt entirely new for the brand. Here's everything you need to know about the show. Animal print, a motif we saw earlier this week at Kate Spade, was reinterpreted in the form of flow-y blouses, matching pants and tops and dresses with dropped waists. With bomber style jackets and leather berets, these accessories came together to make the collection feel a little bit '80s-inspired. 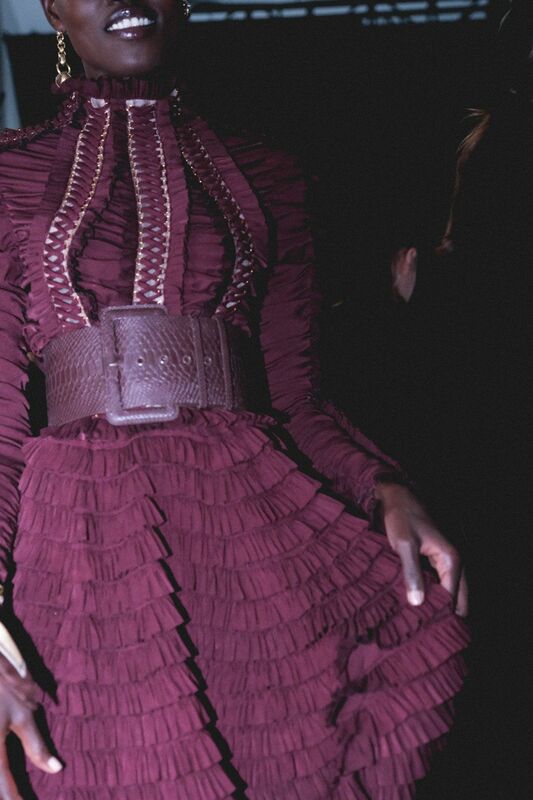 Massive leather belts styled on top of lightweight dresses and long jackets created a new silhouette. Think of it as a more modern form of the corset. However, there were elements of corsetry built-in to some dresses and tops too. 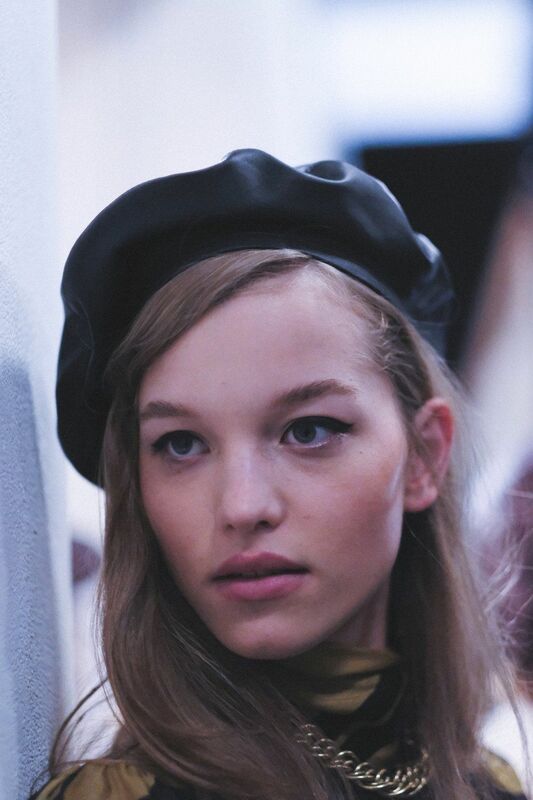 The aforementioned leather berets were styled on almost every single model. Mostly in black, brown and maroon, they matched the label's buttery-looking leather pants, skirts and dresses. Translucent pieces of fabric were strategically placed throughout the collection – on near the neckline, the torso or the sleeves – to reveal hints of skin. The addition of bows, puffy sleeves and architectural structures made these pieces feel like works of art rather than beachwear, which the Australian brand is best known for. The clear swaths of fabric, combined with pastel and soft gray silky dresses that looked like more modest versions of nighttime slip dresses, were a clear reference to the lingerie dressing trend. There were also some pretty, unlined lace pieces that fit into this category.